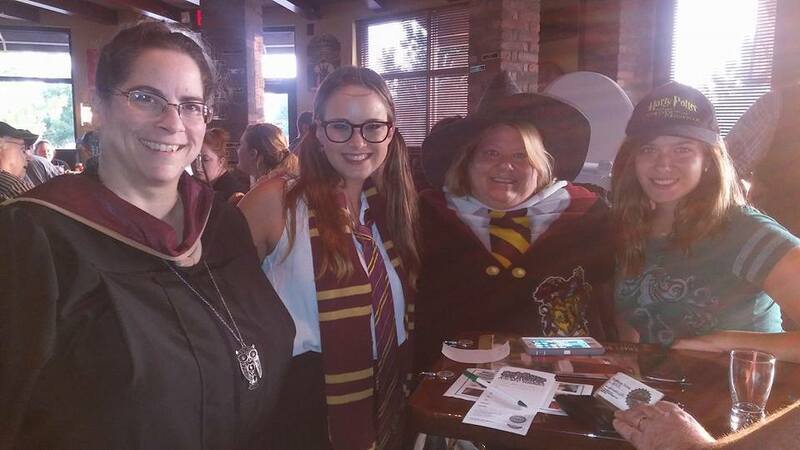 Over 100 people showed up, quite a few decked out in their favorite Harry Potter gear. We had James Potter, Mad-Eye Moody, Remus Lupin, Moaning Myrtle, Luna Lovegood, Lucius Malfoy, and many more. The costumes were truly fantastic. 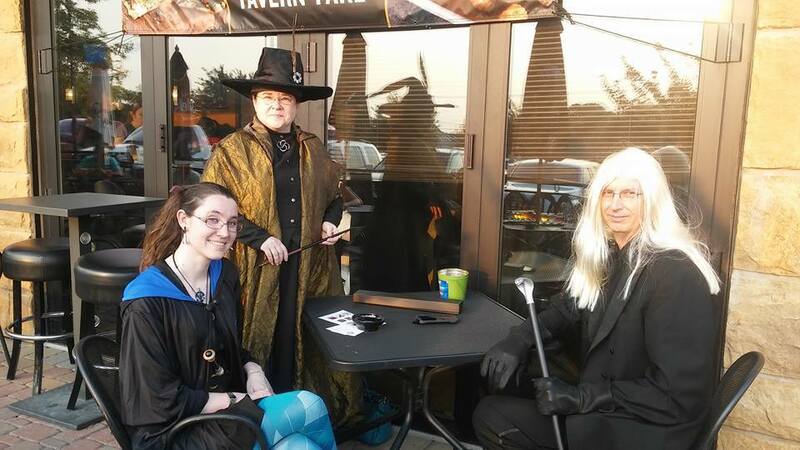 Speaking of costumes, the prizes for the best costumes (though they all were great) went to Lupin, Madeye, and Luna in that order. Congratulations to each of you! 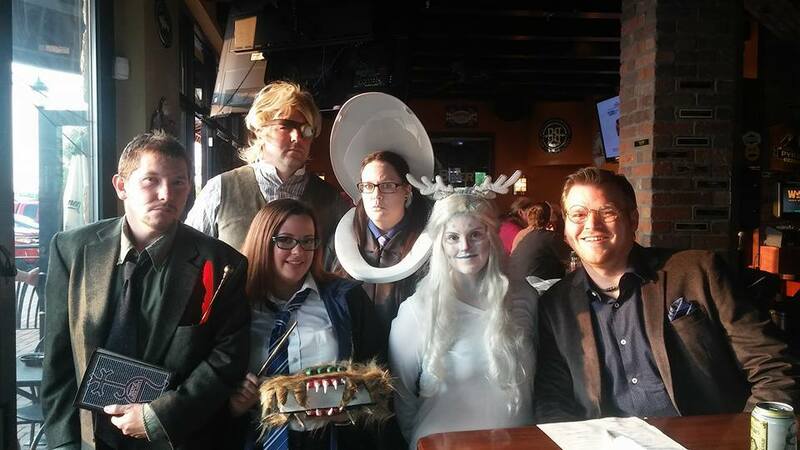 With just short of 30 teams in the bar and on the patio, the stage was set for us to venture into the Chamber of Secrets, discover and destroy the horcruxes, join the Order of the Phoenix, and win the Tri-Wizard Tournament! It didn't take long to realize that you guys REALLY love Harry Potter. We'll cover all the records set for Harry Potter in a moment, but it was interesting that we finished with 20 teams tied for the lead after the opening round. Of course that number decreased dramatically as we learned more and more about the wizarding world, but we still had an incredibly high number of teams within a few points at the top of the leaderboard. When Game 1 came to a close, we learned that the final score of the Quiddich World Cup (btw, it was 170-160) was the question which separated the pack. In the end, Slitherclaw just edged out What the Hell is a Razzleberry? for the top prize. In the Power Hour, as we jumped on our Firebolt and escaped the grasp of the Hungarian Horntail, we learned once again how smart you guys really are. Though we did have to remind some people to keep their phones put away, we ended up with a Power Hour for the ages. We mourned the loss of Dumbledore (spoiler alert: he dies), we were annoyed by Lavender Brown, we cheered when Molly Weasley killed Bellatrix Lestrange, and we rejoiced when Harry defeated Voldemort. But more importantly, we had an incredibly tight game going into the final question, our Bonus Kitchen Timer question. 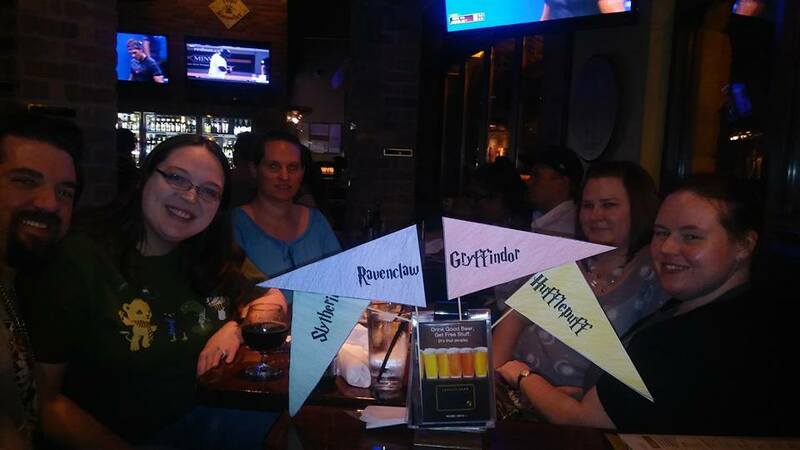 At the end of 2 short minutes, we had 2 teams standing at the top of the mountain of Harry Potter trivia, We're Here for the Butterbeer and Save a Horse, Ride a Quiddich Player. We had to have a tiebreaker question to determine who would fulfill the prophecy and be the Chosen One. 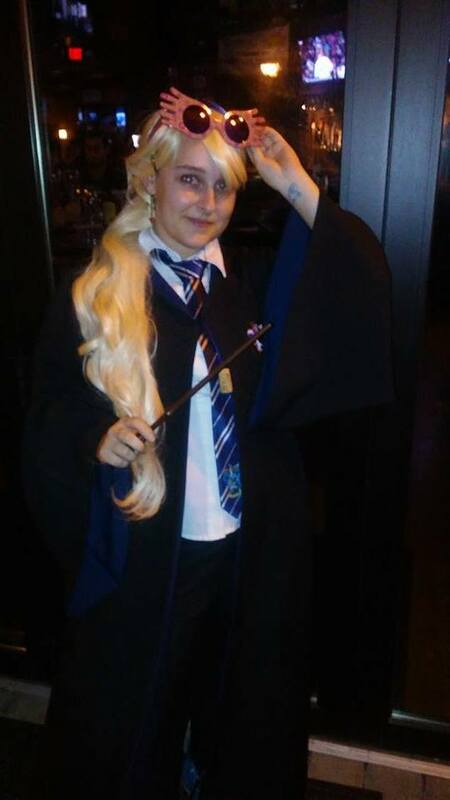 The Chosen One, our Power Hour Champion for Harry Potter Trivia night...... Save a Horse, Ride a Quiddich Player. And of course, don't forget to follow us on Facebook and Twitter for hints as well as the latest news on your favorite trivia. 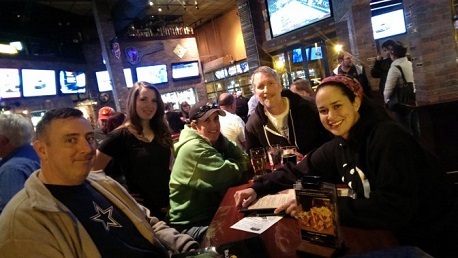 And finally, the PubGuys Trivia League starts up September 1. You must be registered on our site to be eligible for the cash prize, so sign up!